With the help of our dedicated volunteers, Valley View is able to provide well-rounded activity programs that meet the various personal needs of each of our residents. We encourage volunteers from the community to join the Valley View family, get involved in activity programs, and bring a piece of the community to our residents. Are you looking to volunteer? We encourage people of all ages to share in the fun here at Valley View. 4H clubs, local churches, and various youth groups join us regularly for activity programs. Contact our recreation director at 973-383-1450 x24 for more information about volunteering at Valley View. Print and complete the admission application to apply for admission to Valley View. Learn about Valley View and see what positions are available. 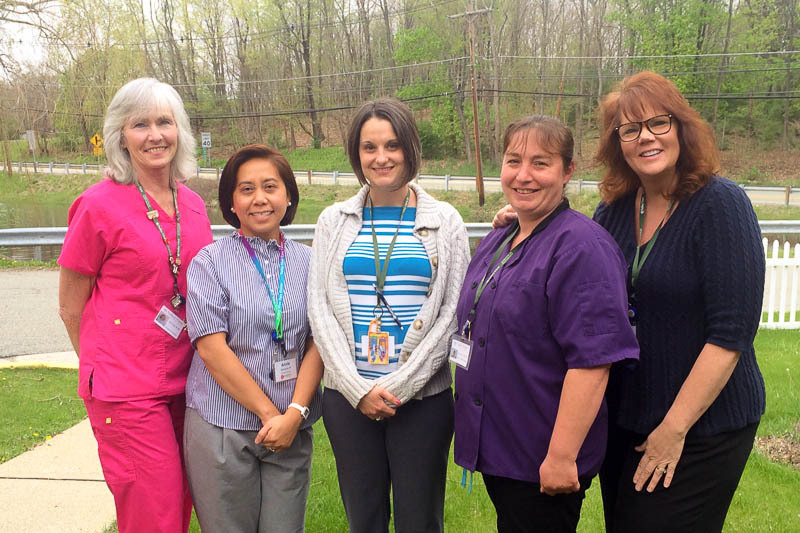 When the need arises for residential care or rehabilitative care, Valley View Rehabilitation and Health Care Center is working to redefine healthcare in Sussex County to meet the needs of our community.